A recent opinion of the California Court of Appeal has reiterated the draconian impact and application of the strict contractor licensing laws, likely resulting in a contractor being forced to disgorge in excess of $750,000 paid to it by an owner. In the case of Twenty-Nine Palms Enterprise Corporation v. Bardos, issued by the Court of Appeal and published on November 8, 2012, the Court considered the appeal of a summary judgment issued in favor of the project owner, Twenty-Nine Palms. Twenty-Nine Palms is a federally recognized Indian tribe and the project at issue took place on or substantially on tribal lands. An entity, Cadmus Construction Co. submitted a bid to the owner to construct an access road and the parking lot for an adjoining casino. Cadmus Construction was a sole proprietorship entirely owned by one Paul Bardos. Cadmus was paid $751,995 for the work that it completed in or about May 2007. However, Cadmus was not issued a contractor’s license until October 2007. The owner sued Bardos (the sole owner of Cadmus) for return of the payment on the ground that Cadmus was not licensed during the project. The trial court granted a summary judgment in favor of the owner. On appeal, the Court addressed several grounds of appeal raised by Bardos. The primary grounds which deal with licensure are discussed below. First, Cadmus asserted that the unlicensed contractor statute (Business & Professions Code §7031) is not enforceable in a contract with an Indian tribe for work done on tribal land. The Court of Appeal disagreed, stating that for a claim of sovereign immunity, which this was, Cadmus could not assert the sovereign immunity of an Indian tribe. The right to assert sovereign immunity resides only with the tribe and tribal entities, not third parties. The tribe could have asserted that California state laws do not govern on its federally recognized tribal lands, but Cadmus had no standing to make such an argument. Second, and most germane to the issue of proper contractor licensing, Cadmus argued that there was evidence that it was licensed during the performance of the contract. Clearly, the record showed that Cadmus itself was not licensed until October 2007. However, Cadmus argued that since Bardos was the 100% owner of Cadmus as a sole proprietorship, and Bardos was also the Responsible Managing Officer (RMO) of another entity (Bardos Construction, Inc. (“BCI”), then Bardos was entitled to perform the work under Cadmus’s name utilizing the BCI license. Creative lawyering, but the Court said not so fast. BCI was a corporation and, as such, was a separate legal entity apart from Bardos the individual. The license was that of BCI, not Bardos. So, Bardos could not claim that his personal involvement in the work afforded Cadmus the status of proper licensure. Bardos even asked the court to pierce the corporate veil of BCI to allow Bardos to claim the license as an individual. The court said that argument was not raised at the trial court, and the evidence to support it was lacking. It also noted that Bardos had engaged in self-dealing in procuring the contract, and the equitable theory of piercing the veil was not therefore available (“One who comes seeking equity must come with clean hands”). But Cadmus/Bardos was not willing to give up, undoubtedly because he did not want to give back the $750,000 the tribe had paid him! He next argued that Cadmus satisfied the “substantial compliance” requirements for licensure under §7031 (e). This requires an evidentiary showing that the party 1) had been duly licensed as a contractor in California prior to the performance of the contract, 2) had acted reasonably and in good faith to maintain proper licensure, 3) did not know or reasonably should not have known that he or she was not duly licensed when performance of the contract commenced, and 4) acted promptly and in good faith to reinstate his or her license upon learning it was invalid. Cadmus creatively/desperately argued that an old company belonging to Bardos, namely Bardos Construction Company (“BCC”), which was a sole proprietorship, held a Class B contractor’s license from 1981 through 1988. As such, since BCC was a sole proprietorship, and Bardos was the owner, Bardos was the holder of the license issued in 1981. That license was obviously in effect prior to the Indian project. However, the evidence showed that that license became inactive in 1988 and was never reactivated. The court also found that Cadmus did not submit sufficient evidence to create a triable issue of material fact with regard to its satisfaction of the other “substantial compliance” requirements for a court to find proper licensing (acting swiftly, acting reasonably and in good faith to maintain the license, and a lack of knowledge that the license was not in effect). The court similarly analyzed, and ultimately rejected, various other arguments raised by Cadmus on appeal. The court of appeal affirmed the summary judgment granted to Twenty-Nine Palms. Presumably, then, the trial court would order Cadmus/Bardos to disgorge the $751,995 that it had been paid for the work of improvement. A bitter pill, to be sure, but the decision reiterates several important points. Always be properly licensed, with a Class A, B, or C license as necessary, during the entire performance of the work on the project. Do not allow your license to lapse or expire or become invalid for any reason during the performance of the project. If you become unlicensed through lapse, or other cause, during the performance of a project, act IMMEDIATELY to preserve the possibility that you could argue “substantial compliance” under §7031 (e). Recognize the “holder” of the license. In a sole proprietorship, the individual owner is the holder of the license. In a Corporation or a limited liability company, the license is held by the separately formed legal business entity, and not by an individual. If you are a project owner, and an issue of payment arises, obtain a certified copy of the license record for the general contractor or subcontractor or other licensed professional seeking payment. 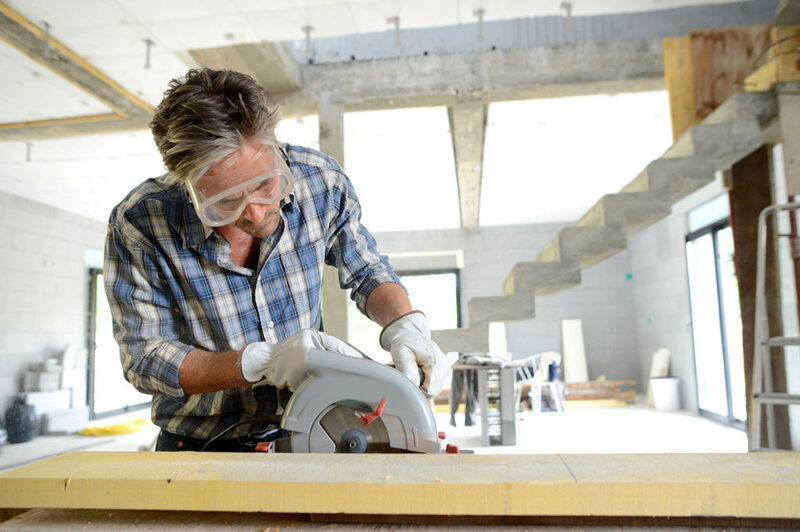 If the record does not disclose proper licensure during the entirety of the work of improvement, an argument can be made under §7031 that the contractor need not be paid for his or her work and, further, that if they were paid any sums then those amounts are subject to disgorgement. Copyright © 2016 Ramsey Law Group. All rights reserved.